Arsenal: top 5 footballers of all time. Thierry Henry, Tony Adams and Cesc Fabregas are there, do you agree? Here are the top 5 players Gunners! Do you agree with it? The Spaniard who started playing in Premier League at the very young age is blessed with perfect passing skills. Premier League lost a great player when he was transferred to his childhood club Barcelona in 2011. He netted 57 goals and provided 98 assists in 303 games for Arsenal. Arsenal’s doors are always open for him. The French midfielder joined Arsenal from Marseille in 2000. His Arsenal days were the best days where he lifted two Premier league, three FA Cups and other titles. The 40 year old retired player scored 84 in 284 appearances for the Gunners. Bergkamp enjoyed his eleven years of stay at Arsenal before announcing retirement in 2006. The Dutch man signed for Arsenal in 1995 from Inter Milan where he spent only two seasons. He started slow at Arsenal but gradually with time he became one of the finest striker who cannot be replaced easily. He usually scored curled shoot into the far corner. The former Netherland striker played 423 games and scored 120 goal for the Gunners. The 47-year-old Arsenal legend Tony Adams was one of the best center back of his time. A true loyal servant of Arsenal retired in 2002 after playing 672 matches in his 19 years stay at Arsenal. His motivating presence, tackles and aerial threats made him the complete defender. His two goals against Everton in 1998 will always be remembered. Arsenal all-time top goal scorer with 228 goals is on number one. Henry started from the wing and then became a striker. He was a complete player with Pace, Strength, dribbling, shooting and his absolute class finishing. He spent eight years at Arsenal. He returned to Arsenal on loan in January 2012 where he scored his trademark winning goal against Leeds United in the FA Cup. yeah it was difficult to choose between pires and viera, i chose pires. Fabregas? Are you kidding me. He's should not even make the top 20 of that list. 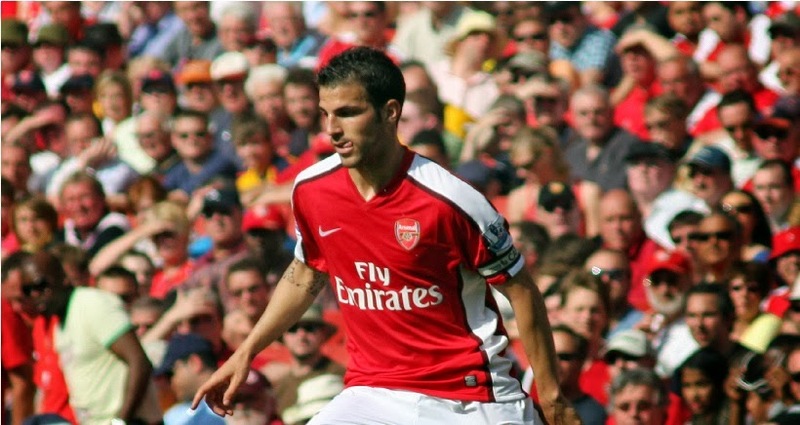 There are some players playing for arsenal right now I'd consider over fabregas. He never won anything FOR us. He should never I repeat never be considered a legend at arsenal. Especially over the likes of Vieira Ian Wright wiltord ljunberg seaman brady known Adams and whole bunch more.. you see how easily I could pick over 20names ahead of fabregas I'd even pick Silva Lauren kanu over fabregas as club legends. If arsenal win the FA cup this season there's at least 3players on this team I'd pick over him. He's NOT an arsenal legend a very good servant but NEVER a legend at arsenal.